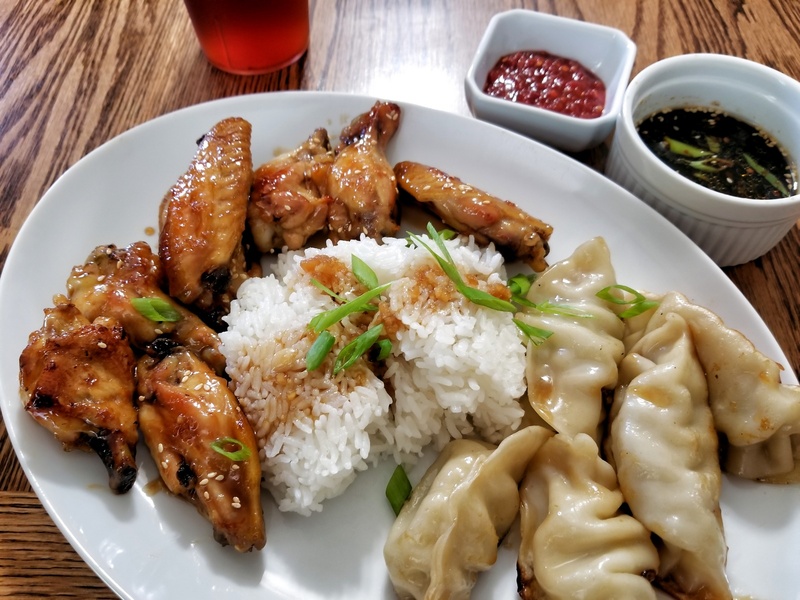 These were a result of two recipes, Alton Brown’s Buffalo Wings for his two step cooking method, and Krista’s Honey Garlic wing recipe for the sauce. The dumplings are from frozen and were steamed. I steamed the wings in two batches, about ten minutes each, because the basket was small. 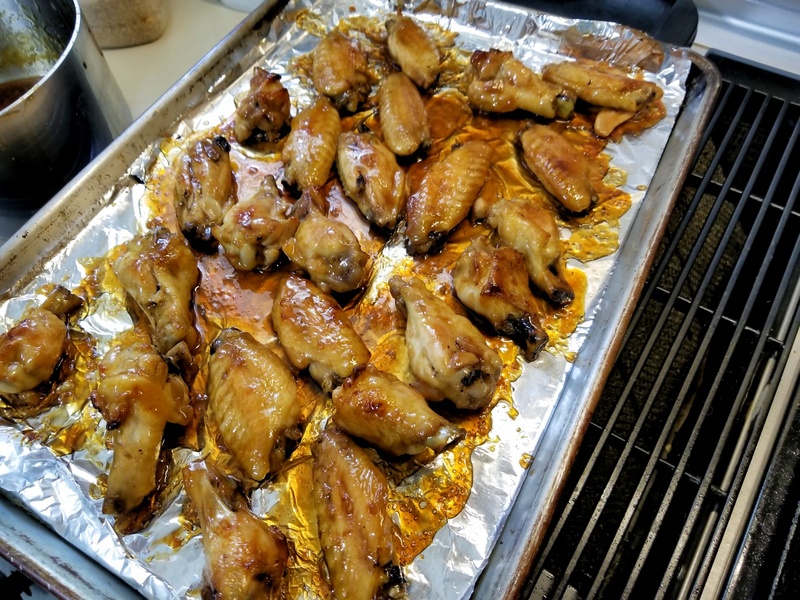 The steamed wings were allowed to drain and cool on paper towels before baking on parchment paper at 375 until browned, about 40 minutes more. Flip the wings over halfway through. Switching the paper for foil, the wings were dipped in the honey garlic sauce and baked until the sauce got bubbly, and then were re-dipped and baked again. Two thumbs up!